These players must step up and make the program theirs. A lot of turnover man. A ton really. With turnover comes great opportunity. The opportunity for players to break out. The opportunity for entire teams to break out. As I illustrated yesterday there are many quality players, just in the front court alone, that are, and still could be, leaving. Many programs in the conference are searching for upperclassman leadership, someone to take the reigns. I tried to come up with five guys whose programs need them the most to step up and lead their team. I came up with six. 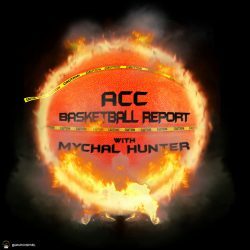 Markell Johnson (NC State): Anyone who follows this blog or the ACCBR podcast knows this kid is one of my favorites. A do it all point guard that does it all pretty well. Coming off of a season in which he missed some time due to legal issues, Johnson is going to have to be the leader on a team that has lost six players to either transfer or graduation and possibly another to the draft, while welcoming three transfers, four freshman and a JUCO player. Johnson will have a tremendously talented supporting cast but he needs to make sure he puts them in position to succeed and keeps everyone on the same page. Chris Lykes (Miami): You are going to notice a theme here as the list progresses. Though undersized, Lykes is a tremendously effective player, especially offensively. As a true freshman his conference points per game average per 100 possessions was 29.0. To give you some scale, Joel Berry, widely considered the best point guard in the conference last year, was 30.1. Lykes will be expected to lead a team that could potentially lose 80% of its starting five (Dewan Huell’s decision is still hanging out there) and potentially 60% of its scoring. Zach Johnson, a transfer from FGCU, is the only immediate help to arrive, so Lykes and senior-to-be Anthony Lawrence are both going to have to show up in a big way. The kid has no fear. To do that to Berry, in Chapel Hill, takes titanium balls. With Ben Lammers, Tadric Jackson and potentially Josh Okogie leaving the Yellow Jackets, Alvarado becomes the man. TJ Gibbs (Notre Dame): Gibbs received a head start making his presence known in the conference last year after the Irish were plagued by injuries. His scoring numbers jumped from 4.7 as a freshman to 15.3 as a sophomore. That may have been surprising to some, not me, as he was the #1 player on my breakout list last season. The Irish have a five man class coming in this year that is pretty WF heavy and no point guards after Matt Farrell’s graduation. Gibbs becomes the de facto primary ball handler, which should be fine, he had a solid 2:1 A/TO last season. Marques Bolden (Duke): Let’s get back into the front court real quick. Bolden has to be the leader of this team next year, there is literally no one else to take on the role. I am never a huge fan of freshman being emotional leaders of teams (See Trae Young). There is a going to be a pivotal point in the season when this new Fab Five is flustered and an upperclassmen has to step up, Bolden needs to be that guy. Grayson Allen may not have been ideal, but when MB3 went down, Allen went ballistic. Bolden needs to grab this devil by the horns. Chaundee Brown (Wake Forest): The riskiest one was saved for last. If Bryant Crawford leaves for the league (he was not invited to the NBA combine) then this team becomes Browns. One of my favorite freshmen in the conference last year Brown had the definition of an up and down season. He did score 15 or more 7 times, but also saw his playing time dwindle to 7 minutes at one point in the season. This kid has a huge game and will soon have a ton of talent around him with this incoming Demon Deacons class. Let’s see what he (and they) can do.